Interesting Facts: Very resistant to disease. 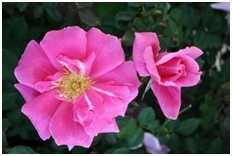 This is one of the most popular of Dr. Buck’s roses. Needs little care and it blooms all the time. Has lots of orange-red hips. Remove “spent” blooms to encourage heavier bloom.